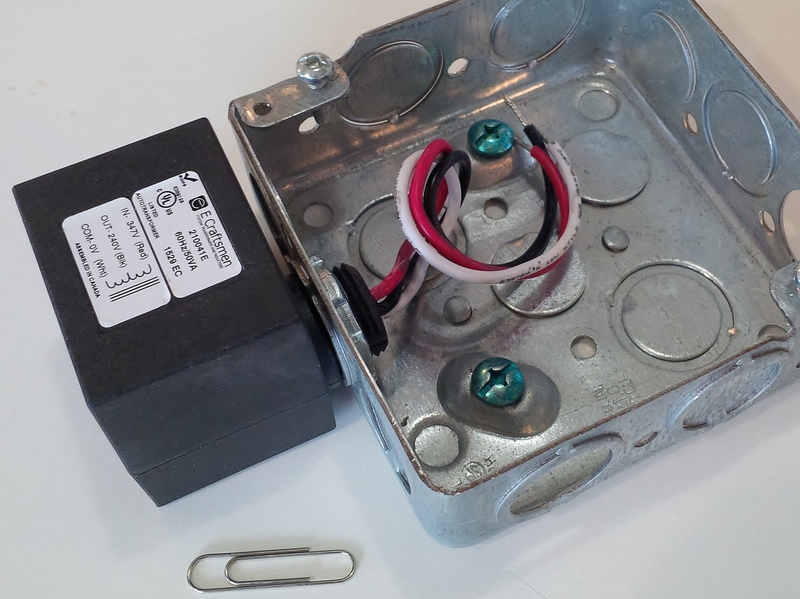 No need to assemble this transformer inside a fixture housing! Easily mounted on the outside through a simple standard 1/2" NPT electrical knock-out in a junction box or through an approx. 5/8" hole in any other enclosure. Secured on the inside of the enclosure by a standard 1/2" NPT metal conduit fitting locknut (provided). (Model 210041EB shown).